Global Positioning Systems (GPS) is a term that brings up images of auto navigation systems, satellite technology, or interactive maps. However, there are many more applications of Global Positioning Systems beyond vehicle tracking or map navigation that everyday people can use for entertainment. It’s Spring and time to get out of the house and enjoy some fun activities. With a bit of creativity, and purpose, use your GPS in a way that is intriguing and fun. Here are a few favorite ideas. Easter Egg Hunt – New high-tech Easter Egg Hunts are cropping up around the country. At these events instead of hoards of kids running across a lawn picking up scattered colored eggs, the kids use GPS devices to hunt down stashes of hidden treats. Road Rally – Driving through the countryside is an enjoyable Sunday afternoon activity. Now add a bit of competition or purpose to that drive, and you have a road rally. Local car clubs often sponsor road rallies. These rallies can take many forms. Some rallies are a driving course with checkpoints and participants are timed driving from checkpoint to checkpoint – best time wins (without going over the speed limit). Other rallies have a list of sights or items the participants take pictures of during the drive. And some rallies require participants to buy things along the way (one item per stop) that are then donated to a charity at the finish line. Scavenger Hunt – We all remember those scavenger hunts – a list of items to be collected in a specified amount of time. A fun version is to do a photo scavenger hunt. Have a list of locations where participants have to submit a picture of something at each sight (i.e., example a photo of a team member sitting a log at a park or take a photo of the giant chicken outside a shop). Shuffle the order of the locations, so not all participants are at the same place at the same time. Geocaching – This is a worldwide “treasure hunt.” Geocaches are items hidden by other geocachers in locations all over the world. A cache may be a scroll of paper or a waterproof box full of trinkets. After each find, the geocacher records online the date and time of the “treasure” discovery. If a trinket was taken from a box it is expected that it be placed in a future box, the trinkets can be tracked from place to place. To get started go to www.geocaching.com. Get out in the fresh air and have fun using your GPS. Before heading out to participate be sure to update your GPS, so any road changes and points of interest are up-to-date. Happy hunting! For more information on updating your GPS check out Navigation Updates. Are We Lost Without GPS? We have all, to some extent, become reliant on technology to help us perform tasks that were previously done manually. You can now shop, pay bills, and get to the desired destination by merely powering up your smartphone. The latter of those tasks has become especially prevalent. GPS devices and apps are designed to get you from place to place without ever needing to consult a paper map. Modern cars often come with a built-in GPS, and while this is a cool feature to have, how would you deal with a situation where you found yourself in an unfamiliar place without this technology? Check the internet news feeds on a daily basis, and you will find stories of hikers and boaters going missing with stunning regularity. How many of these people would have found their way out and back home had they just been able to navigate without the use of GPS? Before this technology people used the position of the sun and stars or a map and compass. Today those who get lost now have a cool story to tell about how they got home without any digital help. 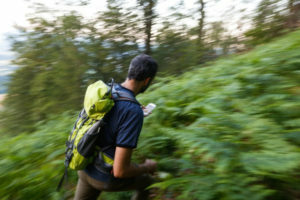 Even those who have access to a GPS or a clear cell signal, as well as fully charged battery, can still end up getting lost. For those folks, it is often a failure to update their existing GPS that causes the problem. Visit any major city, and you will see new roads, bridges, and bypasses being built. That route you thought you knew, or that your GPS is showing might no longer exist which is why you need to make sure that your GPS is always up-to-date. Navigation systems are only as good as the information they have to draw upon to get you safely where you need to go without getting lost. Sure, you could take a crash course in studying the stars or reading old-school maps. But if you keep your GPS current, you may never need to resort to the old ways. Check out Navigation Updates for the latest versions of GPS navigation software. Posted in Navigation System Update	| Tagged GPS, GPS map updates, gps update, mapping updates, navigation system updates, Navigation Updates, updating GPS, updating maps	| Comments Off on Are We Lost Without GPS? How Much Does It Cost for Car GPS Updates? A GPS has now become a critical piece of equipment in any vehicle. This device eases the driving process of getting from point A to point B. It saves time, fuel and headaches. Many cars sold today include an option of a built-in GPS, and any car can accommodate a portable GPS. Although most drivers applaud these devices, it is frustrating when instructed to turn onto a closed street, or an error message is received for an entered address. 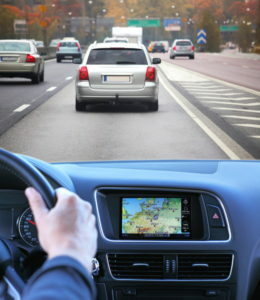 Whether using a car GPS or a portable model, periodic GPS updates are needed to keep the information used to guide a driver through traffic accurate. Many navigation system companies announce updates on an annual basis, but a few issue updates more frequently. 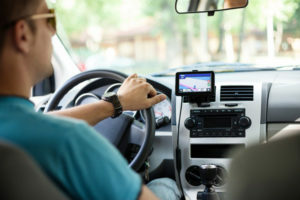 Since portable devices are easily updated via the internet or by connecting the device to a computer, this article will concentrate on built-in car GPS systems. How To Obtain For GPS Updates? For a single map service, the car owner needs to decide how often to update. This move is safe to play if one is not sure for how long they want to keep the car or the current GPS. The updates for individual map services run $80-$120 depending on the vendor and types of maps. 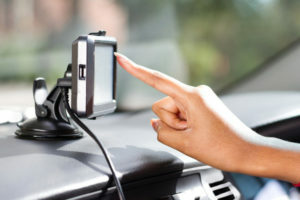 This cost can significantly increase if the car is taken to a dealership for the updates with labor costs being added. For people who rely on built-in car GPS, they can purchase map updates on a subscription basis. For this, they need to pay the up-front price to receive their latest map updates. The subscription package for updating the car GPS works well for those who intend to keep the car for an extended period or for those who prefer the latest up-to-date availability of maps. It is an individual’s choice. It also depends on GPS companies and how they offer updated map services. Some companies provide a lifetime subscription package. Other companies offer less expensive subscription packages, but for a limited time or on a less frequent schedule. Bear in mind that there is a small catch – subscriptions for map updates are attached to the original owner of the device and are not transferable. How The Subscription Packages For GPS Update Works? When someone buys a GPS device, turns it on, gets it registered and starts using it is when the subscription begins. With most companies, a person can enjoy the latest updated maps for three months. After the initial trial period, an individual needs to pay for the map subscriptions to receive the most recent updates (quarterly or annually). The cost of updating the car GPS depends on the anticipated use of the GPS. Be smart when choosing the car manufacturer and which GPS is installed in the car. Always ask the cost of GPS updates if the car will contain a built-in GPS. If one intends to keep the car for an extended period, then evaluate the value of GPS updates over the planned use period. Third-party companies offer low-cost GPS map updates. Navigation Updates is one of those companies. Check out the latest GPS updates with thousands of changes in streets, roads as well as points of interest (restaurants, gas stations, etc.). Posted in Navigation System Update	| Tagged Geometrx, GPS map updates, gps update, mapping updates, navigation system updates, Navigation Updates, updating GPS	| Comments Off on How Much Does It Cost for Car GPS Updates? GPS updates and improvements are coming faster and faster. Portable and dashboard-mounted GPS navigators are currently standard in many new cars, and the uses of GPS in daily life are expanding. A GPS now not only shows you a route from point A to point B, but it can change the route based on changing traffic situations and show you gas stations, shops, and restaurants along the way. Drivers who invest in expensive GPS navigators are now demanding better and more up-to-date maps and information. Unfortunately, the release of new navigation DVD updates for specific brands and models is sometimes erratic. You may buy a new unit with pre-installed mapping software, only to see new software released soon after. This constant evolution together with the cost of the mapping updates is a familiar source of irritation for GPS users. To understand why this occurs it’s helpful to know something about the process of GPS data collection. GPS makers like Garmin contract with mapping companies, to provide their geographic information. The mapping companies regularly survey and re-survey areas, and update their databases with any changes. Once the information is collected, the GPS makers convert it into their specific software system formats and produce GPS updates for distribution. However, like everything else within the world of GPS, this extended process of data collection and production is improving. Progressively, mapping companies and GPS makers are prioritizing areas for updating based on client feedback. GPS updates for Garmin, Magellan, TomTom, and alternative brands currently contain additional new information and are presently issued quarterly. Each update includes improved map coverage of over 60 major metropolitan areas in the United States and Canada and six million updated points of interest. Other companies are experimenting with new strategies for keeping their GPS maps software and databases as current as possible. TomTom recently introduced MapShare technology in its GO 720 GPS receiver. Mapshare allows TomTom users to submit and share their GPS updates immediately when route changes or mapping errors are noted. Other TomTom owners can then choose whether or not they want to download the customer-generated changes or wait for official updates that are verified by the company. In the coming years, it seems inevitable that some GPS navigators on the road will continue to expand, and new approaches to geographic information sharing will be developed. As these processes unfold, the cost of GPS map updates will likely go down even as the quantity and quality of information continue to rise. Installing GPS updates is simple as long as you have some time and a computer. Check out Navigation Updates for the latest edition of your car’s updated navigation DVD. Global positioning systems are no longer the exception to the rule across many industries. GPS is now used in automotive manufacturing, along with traffic reports, law enforcement, and even food deliveries. 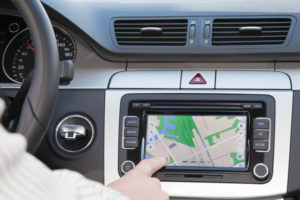 With this in mind, getting a navigation upgrade is crucial in ensuring you have the current technologies installed in your vehicles and businesses. In this day and age, you cannot afford to miss a business meeting due to lack of directions. Long gone are the days of writing down driving instructions, as well as finding them on online mapping systems. With the latest innovative and cutting-edge technologies, GPS tracks where you are and where you are going at all times. GPS has also been enhanced to reflect localization at its best. From Facebook and Google to YouTube, the social media platforms and networks rely on navigation to pinpoint your exact areas. This system lets businesses know how close or far you are to them, which helps gear geo-specific campaigns in the right direction. GPS upgrades offer the latest in mapping systems for all automotive, commercial and residential applications. Similarly, each update feature improves access to the most recent roads, highways, and intersections with precise details. You also get points of interest, along with easy to access starting and ending points for addresses. If your current system has not been updated in months, you should consider revising your unit right away. The new information gives you a better knowledge of changed signage, road closures, and other revision you need to know to get from one point to another. Some GPS automatically updated features in the background. However, this is not true for all automotive or commercial applications. Customers usually receive requests via e-mail and text from their providers about current upgrades. It is ultimately up to you to update your systems, which are crucial in tapping into the current and burgeoning mapping technologies. Check out Navigation Updates for all the latest navigation upgrades. 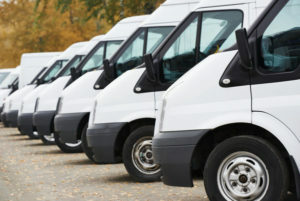 If your company is currently using a mapping or navigation software to manage its fleet, then you want to do all that you can to ensure that the available information is entirely accurate. Getting a mapping update is the best way to do this. By updating your software on a routine basis, you can make sure that it is capable of providing data that is viable and up-to-date. Many changes are likely to occur in roadways, and other terrain features over time. For instance, your municipality may be in the process of changing the name of a major street or thoroughfare. If you do not have a system that is capable of reflecting this change, then many of your drivers may get lost. Other things that are likely to arise as the course of the natural evolution of geography include new construction and the various effects that this will inevitably have on the roadways. When new buildings are built, new roads and avenues are often created to accommodate these structures and the traffic that they are likely to produce. Massive construction projects can also lead to temporary and short-term road closures. Boundary changes are another critical factor that must be considered when determining whether or not your current navigation system is still capable of meeting the needs of your drivers. There is also the fact that outdated information will not allow drivers to find the best businesses for their needs. As an example, your fleet will want to be able to use your software to identify the fueling stations with the lowest prices and the most accessible locations. Navigation tools are a very significant investment for businesses that have fleets to maintain. These resources can provide a lot of value and support to the companies that use them. To preserve their value and viability, however, companies must take the time to ensure that these tools are routine updated and refreshed and always capable of supply current and relevant info. For the latest mapping updates check out Navigation Updates. There is no map in all of the world that is guaranteed to remain accurate indefinitely. This fact remains true even when you consider digital maps and digital mapping navigation software. This ever-changing condition is why it is essential to regularly update map tools that you are using to manage your truck-based business or fleet. Over time, changes in local roadways and natural terrain will invariably occur. For instance, some cities are currently in the process of renaming significant streets. These name changes generally reflect an effort to honor historical figures, recent accomplishments or attempts to foster a climate of inclusion. There are also many cities and counties that are committed to fostering dramatic growth in the future. This development is reflected in the massive amount of new construction that they have undertaken. As a result, new roadways are being developed, and there are short and long-term road closures caused by these massive renovations. Your navigation system will also need to account for the development of new businesses and the closure of old ones. This information is particularly vital when it comes to gas stations and vehicle maintenance shops. You want your programs to reflect all of these changes. You also want your system to have the ability to refer your drivers to accessible fueling stations and fueling stations that have the lowest prices. The more diligent you are to complete this necessary and ongoing maintenance for these programs, the more accurate and reliable they will invariably be. It is additionally important to note that updates are also vital for keeping software compatible with the hardware. Manufacturers update all their hardware from time to time. To avoid having your software become unusable and obsolete these programs must be routinely updated. This step is especially true for complex applications that are used for mapping and navigation purposes. For more information on how to update maps in your navigation system check out Navigation Updates. If you are the proud owner of an extensive commercial fleet, then you want to start taking advantage of a good navigation system. This system is a resource that can help you save significant sums of money regarding fuel and ongoing vehicle maintenance. It can also limit the amount of wear and tear that your autos sustain. Following are several ways to know when its time to start updating navigation system tools. Routine updates are critical for all forms of software. Company owners should note that all of their Internet-connected equipment is being regularly updated via downloads that are sent directly from the product manufacturers. As hardware is upgraded, updates for the software that are used on these devices are essential for ensuring continued compatibility. Updates can sometimes be necessary for ensuring that programs do not become obsolete. If your hardware has been updated many times, but your software has not, they won’t work together. Moreover, after you have displayed a significant amount of neglect in this area, you may not have the opportunity to go back and resolve the errors. There are also times when systems like these can start to work slowly, and they may even malfunction frequently. Keeping programs updated is vital for making sure that these maintain high levels of reliability and accessibility. After all, you do not want these systems to freeze when your drivers are already en route to critical locations. Insufficient and inaccurate navigation tools can have a negative impact on employee morale. You additionally want to make sure that these tools are always providing the most accurate and up-to-date data possible. If they aren’t, then navigating instructions won’t reflect recent road name changes, new construction, road closures, and other significant changes in local terrain. This incorrect information can lead to lost drivers, wasted gas, and unhappy customers. For more information on updating navigation system tools check out Navigation Updates. 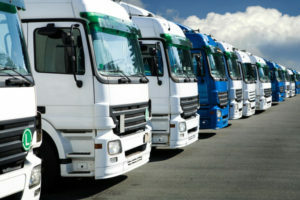 Navigation systems are designed to give companies a lot of helpful information for managing their fleets. For instance, these tools can inform truck drivers of the shortest and most efficient driving distances. They can also help companies identify the best places to fuel their vehicles. If you own one of these resources, however, you will need to update the navigation system regularly. It is important to note that all software must be updated from time to time. This revision is done to ensure that these programs are capable of running efficiently. Upgrading your navigation system will be essential for keeping the system compatible. Beyond being able to ensure a smoother and more seamless operation with coordinating and integrated software and hardware, updates also make it possible for companies to access all of the latest and most important data. For instance, there may have been changes in the layout of local roadways. These changes can occur as the result of new road construction, recent demolitions, street renaming projects, and natural terrain changes. There can also be temporary changes in roadways due to storms, flooding, sinkholes or landslides. It often costs a considerable amount of money for companies to secure high-quality navigation tools. Updating these tools is what keeps them both viable and reliable. To honor, respect and make the most of these critical investments, businesses should do all that they can to maintain them. Updating software should always be considered an essential form of IT maintenance. Without this regular and essential maintenance, these systems can run slowly, and in some instances, they may freeze up and not work at all. More importantly, a system that isn’t adequately maintained will have the unwanted ability to provide drivers with grossly inaccurate data. For information on how to update a navigation system check Navigation Updates. Are you ready for your kids to go back to school? Most parents feel both excited and saddened by the return to school. To help with the process, we are going to give you some of the best travel tips for going back to school. Knowing the route to and from school before the first day of class is always a good idea. Use a digital map to get familiar with the streets and have alternate routes in case of traffic. Mapping services can also provide you with traffic data, so you know whether or not to expect traffic on your way to school. Maps are even useful for those who are walking to and from school. They will be able to see the easiest and safest paths. Walking to school is an option for a fair amount of students. If you are going to let your kid travel to school by walking, it is always a good idea to have an established route. This way if anything ever happens you can quickly and easily locate them. Buses are an easy and quick way to get to school. Kids can both read and socialize as they travel on the bus. If your school district doesn’t offer school buses, verify that your kids know the best public bus routes to take to get to and from school. It is also a great idea to know alternate bus routes. Sometimes buses undergo maintenance issues, or due to road maintenance, the bus must reroute. The kids should know which alternative stops they can use to get home. Students who want to travel to school by themselves but want a quicker option than walking can consider riding a bike. It is also an excellent option for those who want to be eco-conscious. Bikes are fast and can get you where you need to go. Walking, driving, biking, all have rules of the road. Make sure to spend time teaching your kids those rules. An excellent example of that is that bikes ride with traffic while pedestrians walk against it. It is important that kids understand the rules of the road and safety while traveling to and from school. 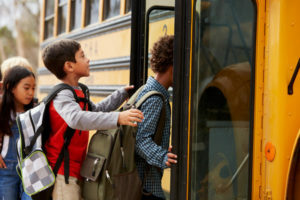 More than 150,000 students of all ages get hurt while they travel to school each year. The most important part of back-to-school travel comes down to teaching your children life skills. Your children need to learn more than what they are taught in school. Safety and travel planning is an integral part of life, even after they graduate from school. Keep your navigation system up-to-date, check out Navigation Updates for the latest maps.